Someone on the Cheetah3D forum asked me to make a tutorial about this technique I read about on the Luxrender forum. The original creator of this technique is a guy called A-man, and you can read his description of this technique on this forum thread. 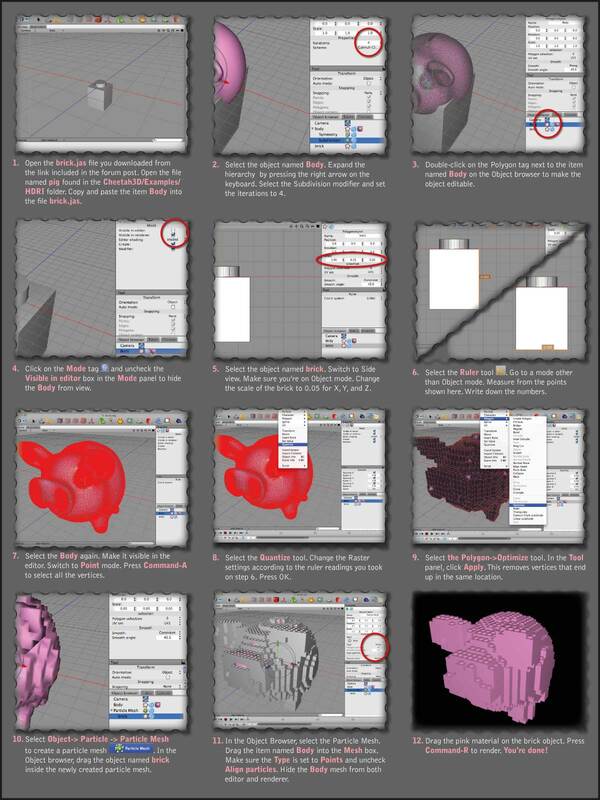 The technique was originally designed for blender. I have adapted it to Cheetah3D's tools. 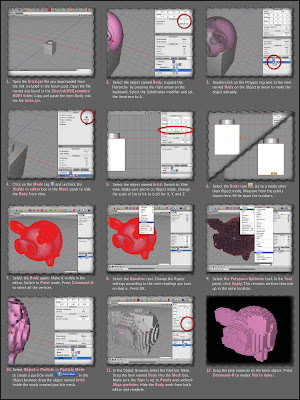 Click on the image to get a larger version, easier to read :) Until I get things straightened up with making files available online, you can download the file needed to do this tutorial from the Cheetah3D forum thread I created about this same tutorial. Enjoy!